I am so thrilled to be seeing so many new faces in my classes (and always happy to see the familiar ones that always bring me so much joy). 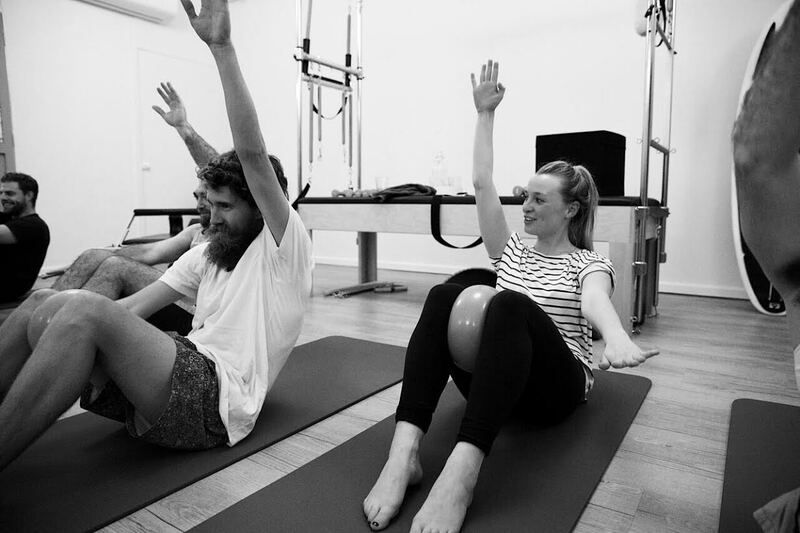 Whether you’re a Pilates enthusiast starting a new class at JMP or a newbie taking a step towards a healthier lifestyle, it’s always exciting (and sometimes a little unnerving) to step into a new space. Today, I want to give 5 tips to help you feel more comfortable in class. Tailor your attire: Looking good is fine, as long as you feel good. Pilates and booty barre require precise movements and you don’t want to lose out on class time because you are constantly adjusting your clothing. Make sure your outfits are fitted, but also breathable, flexible and comfortable. Hydrate! I cannot tell you how important this is. Dehydration not only zaps energy, it can cause serious complications in a workout. You don’t want to get dizzy or feel nausiated. And no, coffee or tea does not count (unless decaf/herbal). Please do not workout while injured. This is not only dangerous, but it places instructors in a very unfair predicament. Try and connect with at least one person. Say hello to someone. Ask them about the class. Meet the instructor. A familiar face can be all we need to make the second class even better than the first. Finally, have fun. Don’t worry if you miss a beat, don’t fully get the pose the first time or can’t finish the first class. The point is to do something for yourself and be proud of yourself for being there. Don’t allow an expectation of perfection take that away from you.